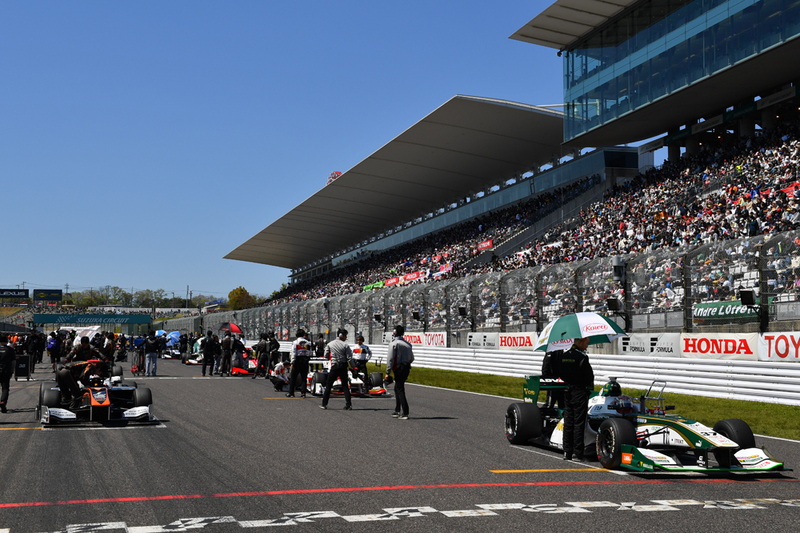 Super Formula Round 1 took place at Suzuka today under great spring weather conditions. 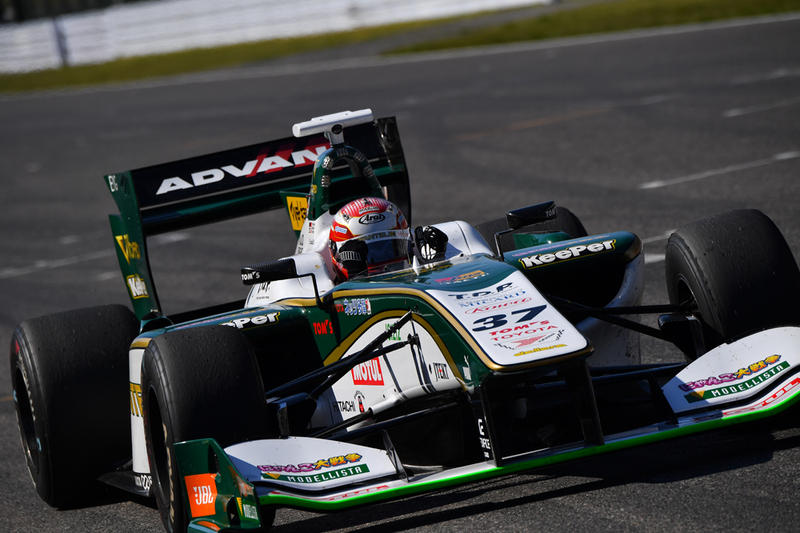 Pole position starter Kazuki Nakajima got off to a strong start to the 35 lap (203 km) championship race. From the 3rd grid, Naoki Yamamoto got off to a good start as well, helping him to jump up in front of last season’s champion, 2nd grid starter Yuji Kunimoto. Andre Lotterer was the first to head to the pit for the mandatory tire change on the initial lap. Several cars soon followed suit. Hiroaki Ishiura of last year’s championship team headed to the pit on lap 2, then his teammate Kunimoto came in on lap 3. Kunimoto had only one tire changed, which was the minimum stipulated for this race. He also had fuel added so he could finish the race without needing to come back to the pit. Kamui Kobayashi headed to the pit on lap 13, and had his back 2 tires changed to gain added grip. After he came out onto the track, during the out lap in the chicane, the former F1 driver had heated up his tires, which helped him to successfully pass F1 reserve driver Pierre Gasly. On lap 23, Kazuya Oshima, who had been running a solid race to that point, spun out and ended up being stuck in the middle of the track. This brought out the yellow flag and subsequently the safety car. Top-running Kazuki Nakajima took advantage of the situation and headed to the pit for the mandatory tire change. 2nd running Yamamoto also did the same. Nakajima was successfully able to get back onto the track ahead of Kunimoto, and keep his lead. So on lap 27, all of the cars had taken care of their mandatory tire change, and the safety car left the track. 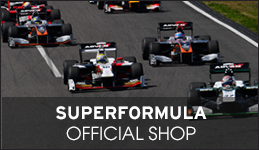 At that point, it was Nakajima, Yamamoto, Kunimoto, and Lotterer in the top 4 spots. 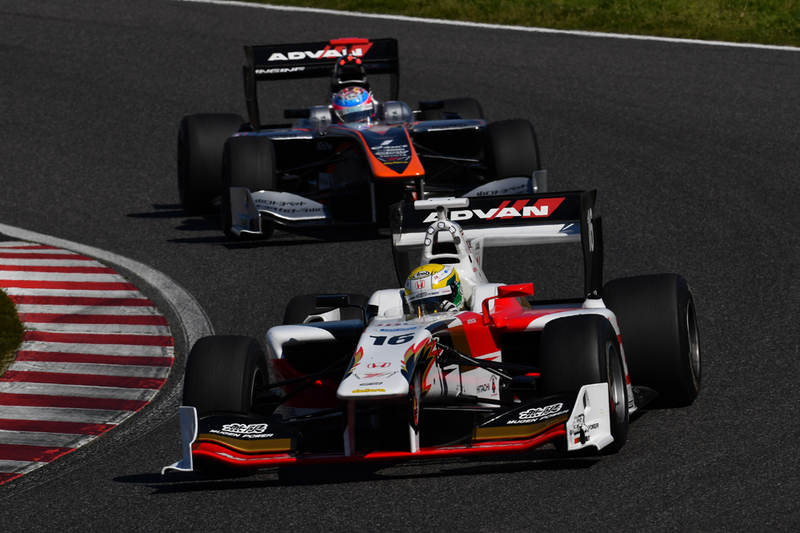 Nakajima kept a consistent pace from that point on, helping to claim his 9th Super Formula victory with a pole to win showing. 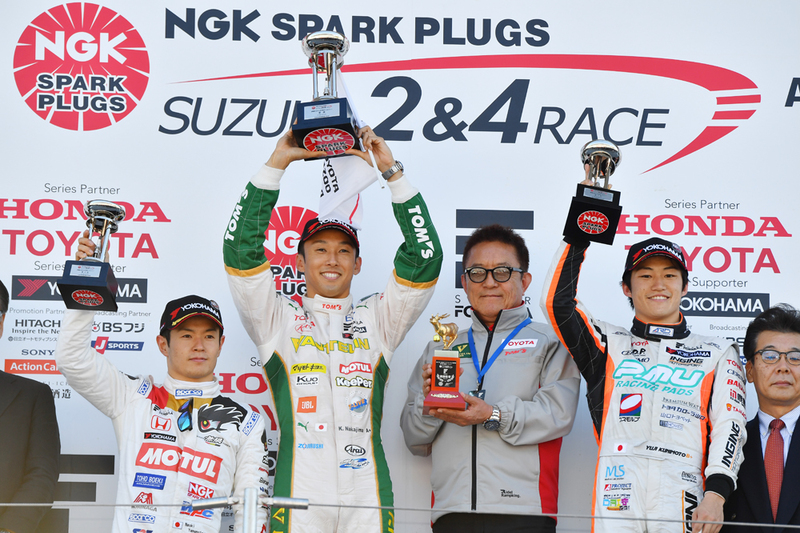 Finishing in 2nd was Yamamoto, in 3rd Kunimoto, and in 4th Ishiura.